Archbishop Thabo Makgoba has appealed to the South African government to scrap plans for developing nuclear energy and instead to spend the money on education, training and other development initiatives. “The Synod of Bishops has revisited the resolution adopted by the church's Provincial Synod last September, in which the church expressed its opposition to the expansion of nuclear energy and urged the government to pursue the path of renewable energy initiatives. “The Synod acknowledges that President Jacob Zuma committed the government in last year's State of the Nation address to procure new nuclear energy only on a scale and at a pace that the country can afford. “We also welcome the president's acknowledgement in this year's State of the Nation address that renewable energy will be an important part of the mix of energy sources in the future. “However, nuclear energy still remains part of the mix, despite the conclusion in the Department of Energy's updated Integrated Resource Plan that additional nuclear power, originally expected in 2023, will not come on stream until 2037. “In a letter to President Zuma last year conveying the Provincial Synod's appeal, I noted that the country already has progressive renewable energy initiatives that could lead to greater sustainability and flexibility. 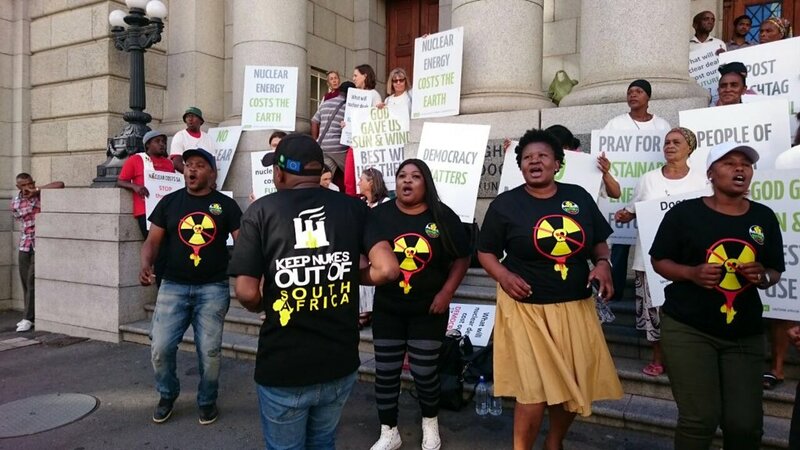 On Thursday, environmental justice groups will renew their challenge to the government's planned expansion of nuclear energy in a court hearing in Cape Town.